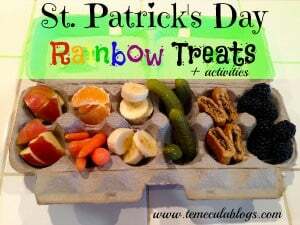 St.Patrick’s Day activities to do with kids that focus on rainbows and are easy for little fingers to do. 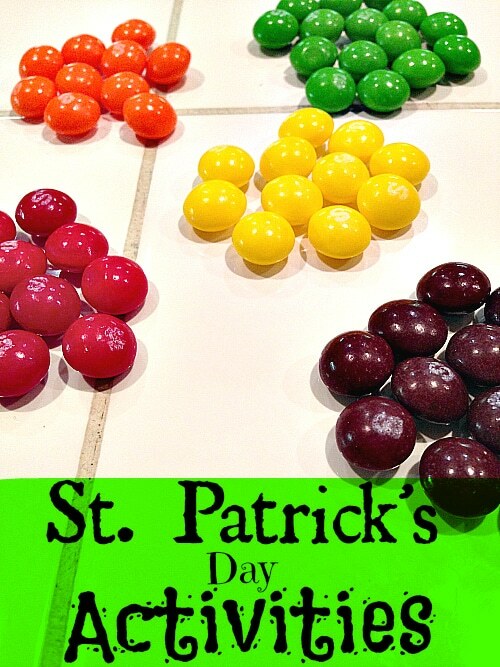 Simple St.Patricks Day crafts for kids. St. Patrick’s Day is a fun day to celebrate! For little hands they love all the rainbow colors all around them, and the little things you can do to make rainbows fun that day makes the day special! Here are a few sorting St. Patrick’s Day activities as well as many other Rainbow themed activities you can enjoy this week, or today to celebrate St. Patrick’s Day! 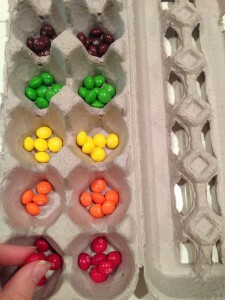 The sorting activity above is easy using a bag of regular Skittles and any table top. Here are a list of Rainbow activities you can do at home too this week to celebrate St. Patrick’s Day in style too…enjoy! You can see the entire post of 8 Rainbow related activities HERE!